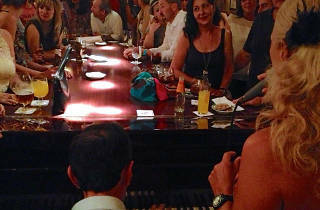 There isn't a more famous (or larger) piano in Madrid than the one at Toni2. 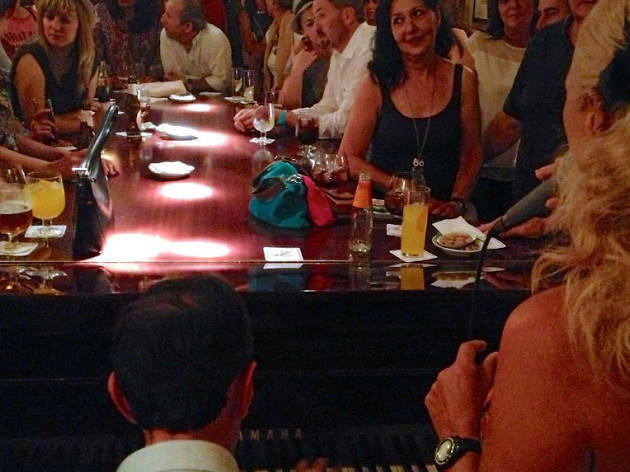 This piano bar is a gateway to the past, when floors had carpet and waiters wore bow ties. This modern, yet classic place attracts a varied audience. From groups of men in their fifties to groups of men in their thirties, Toni2 is filled with gentlemen who want to get to know one of the most emblematic bars in the city. It still has some of the same features from 1979 when Antonio Tejero Chains, 'Toni', opened the doors for the first time: three pianists every night who make sure the soft music in the background never stops, but anyone can dare to sing a song. In general, the audience participates. You've been warned!